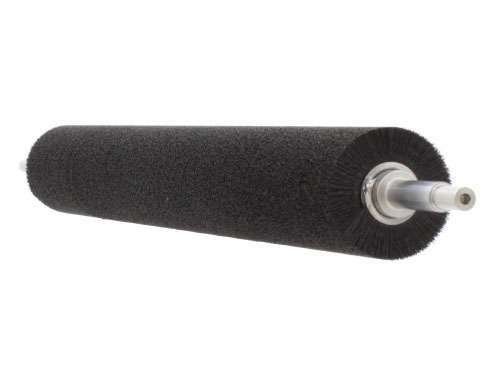 A strip brush helically wound and permanently mounted to a core. All new brush and core, or reuse your existing core. Where there is a significant investment in the core, we can replace the brush and if needed repair the core, both to a “like new” condition. 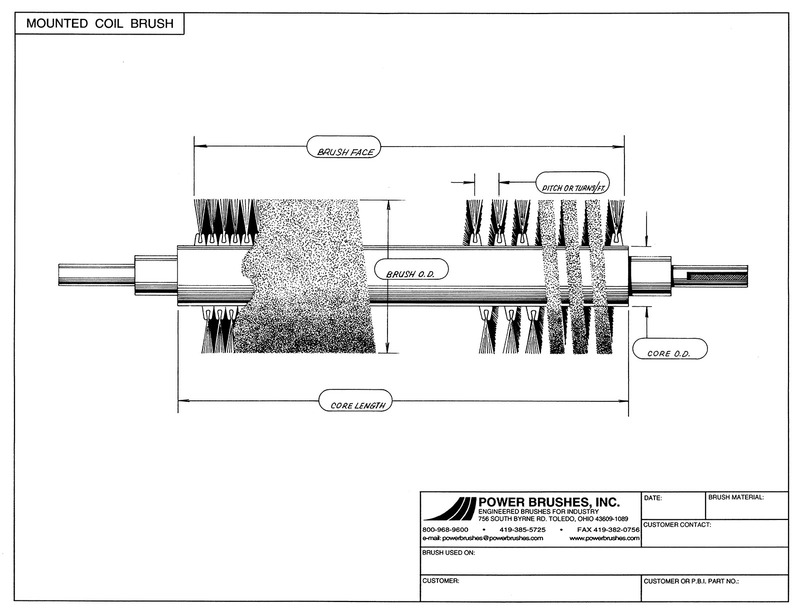 In house we manufacture simple to complex tight tolerance cores with dynamic balancing. 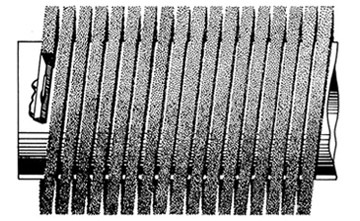 A coil brush with a large pitch, or few turns per ft. can resemble an auger, where a coil brush with a small pitch or many turns per ft. will give you the greatest density. 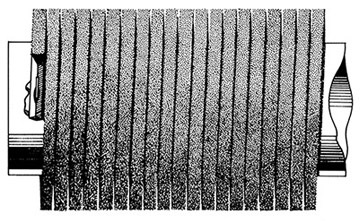 On on a high density coil brush the turns of the brush may not even be visible. As shown left hand helix.